The economic benefits of fiber optic cable are well known. Fiber to the Premises (FTTP) can boost economic development, spark innovation and transform the way people work and live. So why is the technology not more widely available? While it is relatively straight forward to deploy Fiber to the Cabinet (FTTC), it is more complicated to deliver FTTP. With FTTC, a fiber connection runs from the core network through to the local exchange after which it runs into a street cabinet. This is often as far as many operators take fiber deployment, made evident by the references they make to the number of homes passed during installation. But it is the last leg of the FTTx connection, from the cabinet to the premise – termed in the industry the ‘last drop’ – that poses the greatest challenge. 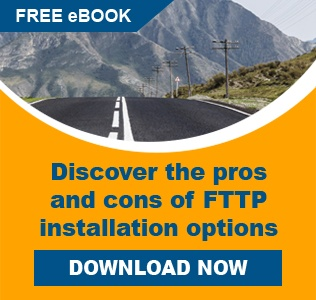 The challenges of the last drop in any FTTP deployment can be made up of any combination of issues like the various technical options available, landscape and environment realities, regulatory issues, customer inconvenience, and of course, costs. PPC offers a range of pushable fiber cable and duct products that allow companies to address last drop challenges quickly and cost-effectively. Universal Access Fiber cable can be pushed to its destination, normally inside a duct, either by hand or for longer distances . Easy to install in any situation PPC Microduct is one of the most flexible protective ducts available. Aerial cables are robust, often with cable specifications calling for min. tensile loads in the thousands of pounds. 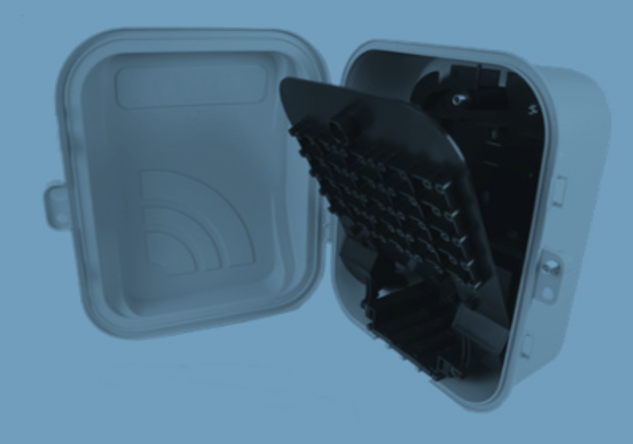 PPC's residential demarcation enclosures are designed for RFoG fiber to the home applications. PPC offers a wide range of duplexers, manifolds and cable breakout units. Zipper Tool allows a slit version of the Miniflex tubing to be ‘zipped’ onto pre-terminated cable and patch cords.